Rachel and Matt requested going to the town square for portraits of the the two of them. After their grand entry into their reception and dinner, we went to the Lewisville town square to capture some romantic imagery with the newlyweds. Rachel was so gorgeous in the gown she not only designed, but she also made. Rachel decided to not carry the traditional bouquet. Instead she wore the The Valentine Cuff by Diann Valentine. 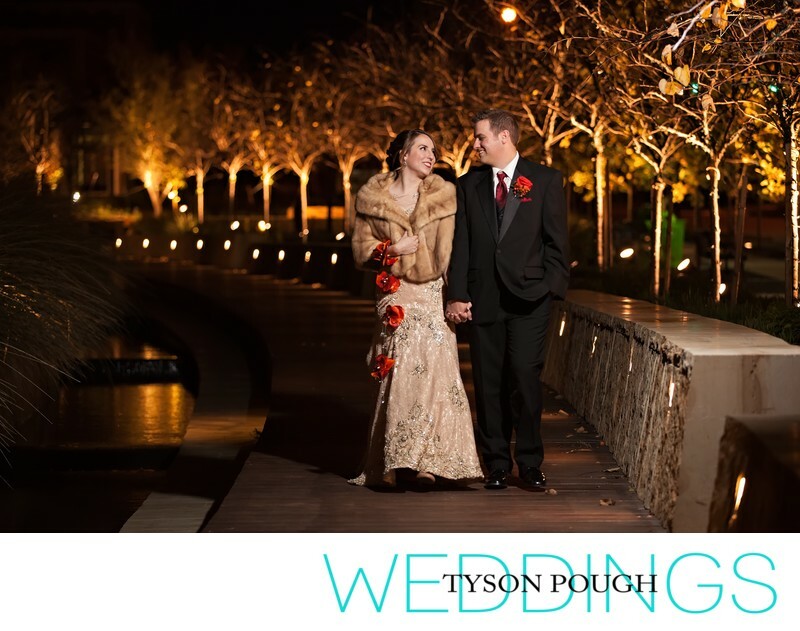 The lighting of the square was the perfect backdrop for the couple's romantic stroll. Location: Town Square Lewisville, TX .